Branding: It takes a lot of work to make a brand look and feel the same across multiple channels. And while logos, text fonts and color schemes are all liable to change from time to time, all team members across the enterprise need to be kept apprised of any alterations and make the appropriate adjustments so customers are presented with a unified image. Cultural compliance: While each office is bound to have its own personality, what you can’t have are cultural differences. You would be remiss, for instance, to allow flexible work hours, BYOD and casual attire in your San Francisco office if you don’t allow the same perks in New York. This would lead to feelings of resentment among your New York workers. Policy decisions: New challenges constantly arise when decisions need to be made on the fly. However, it’s important to have a unified strategy in place for dealing with individual problems so that managers and executives know how they should go about solving them. So, what’s an easy way to improve communication among all of your corporate offices? Offer monthly webinars, where up to 500 employees can log in at a time for a unified online meeting. With the help of a moderator, your enterprise can address important personnel changes, policy updates and compliance protocols. You can also exchange important documents like updated contracts, marketing collateral like white papers and case studies, and training materials for new employees. 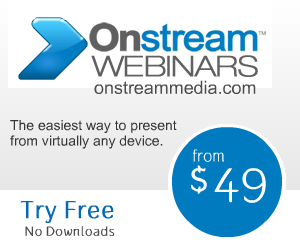 Click here to learn more about how Onstream Meetings, a leading provider of webinar services, can help increase communication across your enterprise.